In a move that will revolutionise the way they study, CTI Education Group will become the first higher education institution in South Africa to offer its students tablet computers loaded with prescribed textbooks, at no extra cost. Over two thousand students who will start their degree studies at CTI in January will receive the new ten-inch touch-screen Samsung Galaxy Note tablets, loaded with up to eight prescribed textbooks’ of course material. The tablets will be supplied to first-year students commencing their Bachelor of Commerce and BSc in Computing Systems degrees at CTI’s twelve campuses across South Africa. A study conducted earlier this year by the Pearson Foundation of college students in the United States revealed that students believe tablets and other mobile devices will transform learning, with tablet ownership among college students having tripled in the last year. The survey reveals that more students are reading digital books, and that a majority (63%) of college students believe that tablets will effectively replace textbooks within the next five years. The Samsung Galaxy Tab is the third most popular tablet among the students surveyed in the Pearson Foundation study. Nearly all the students surveyed believed these devices are valuable for educational purposes, and around half of them say that they would be more likely to read textbooks on a tablet because of access to embedded interactive materials, access to social networks to share notes or ask questions, and access to instructors’ comments in the reading material. CTI Education Group’s Fox added: “Our partnership with Samsung makes us the first higher education institution in South Africa to offer our students tablet computers loaded with all of their prescribed textbooks at no extra cost beyond their normal course fees. CTI students will access their textbooks through advanced e-text software, allowing them to read their textbooks on-screen. Course lecturers will be able to make notes and update texts throughout the academic year. These will automatically update to students’ tablet devices. Students will be offered training in how to use their tablets, and will have access to additional loan tablets and e-learning support when they are on campus. Students will also be able to use their tablets to access Wi-Fi at all of CTI’s campuses, at no additional expense. 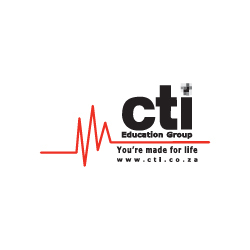 CTI has also secured insurance and warranties for all the tablets and will pay for this on behalf of the students. CTI is part of Pearson, the world’s largest education company, a pioneer in the use of digital and mobile technologies to enhance learning.